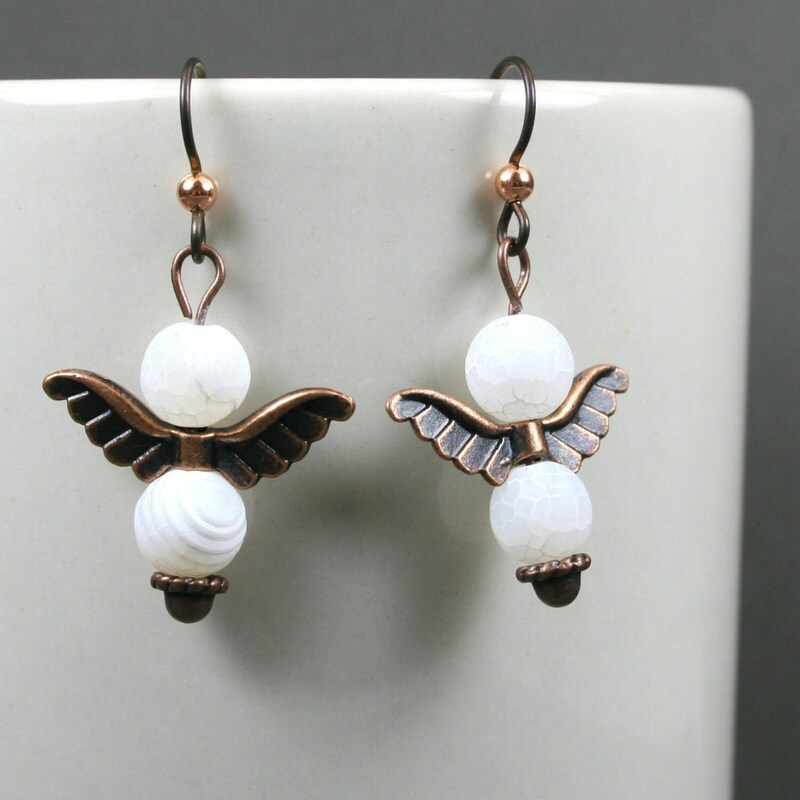 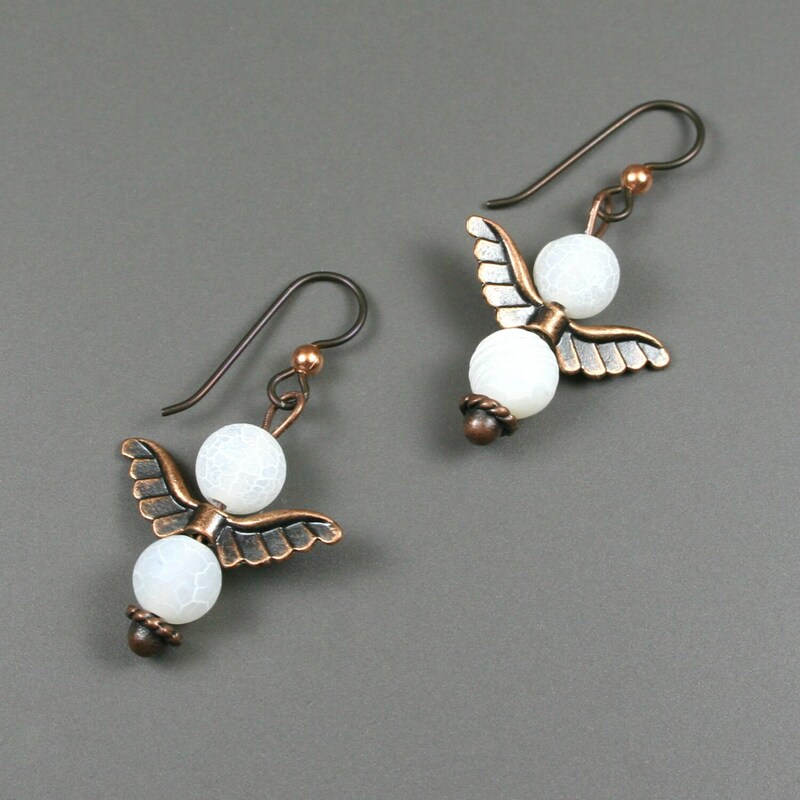 Each earring contains a pair of 8 mm round frosted white crackle agate stones separated by a small set of angel wings in antiqued copper finish on an antiqued copper head pin with fancy ball ending. 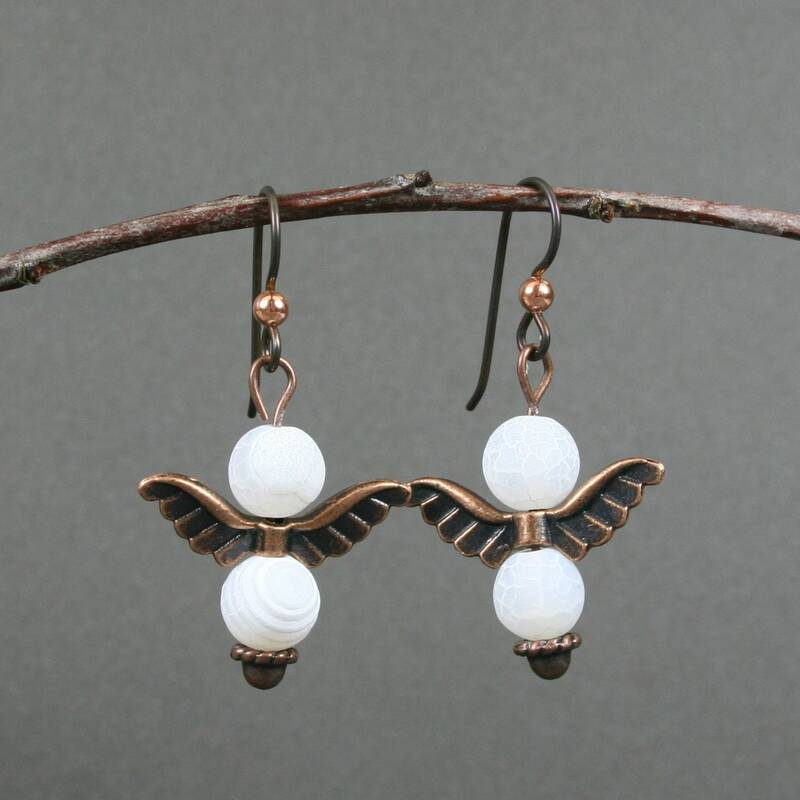 The set is suspended from a niobium ear wire with an antiqued copper ball decoration. 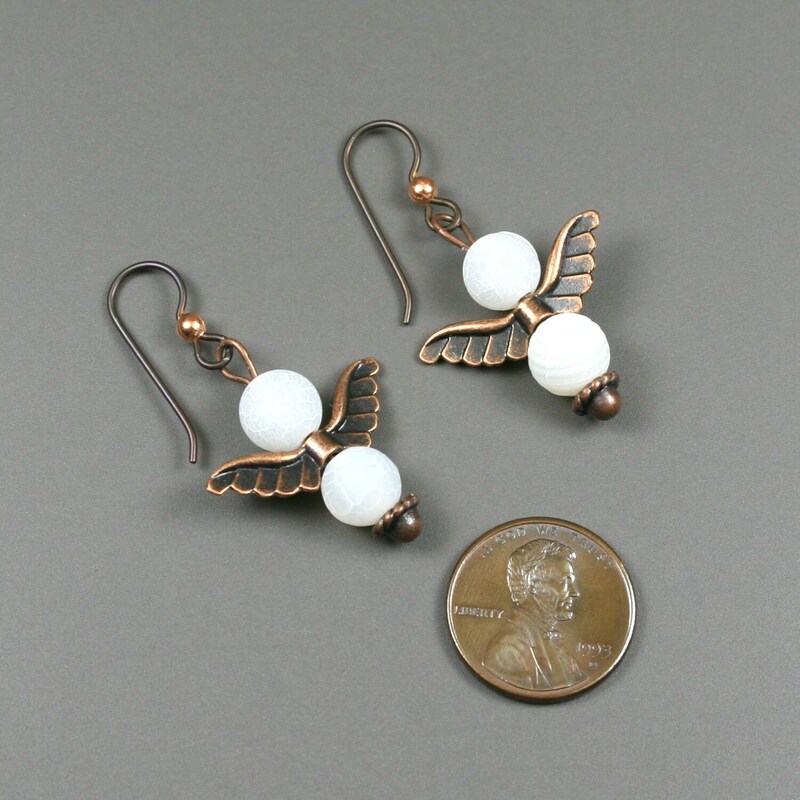 The bottom of the earrings dangle 42 mm below the top of the ear wires. 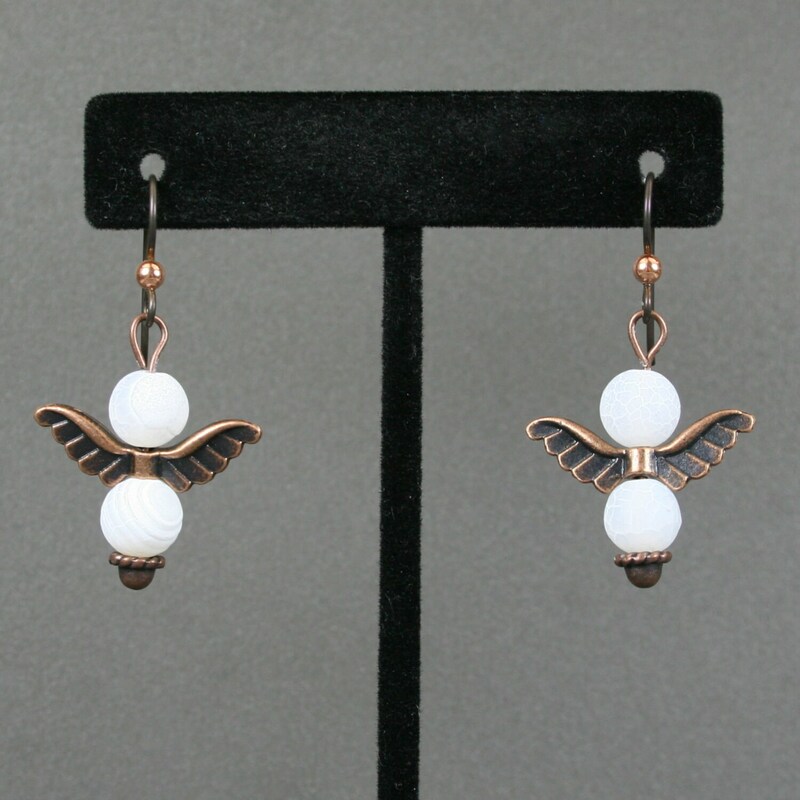 Niobium is a metal element that many with allergies are able to tolerate.